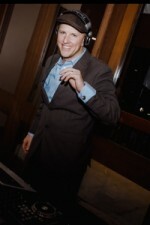 Stumptown DJs is a Portland DJ and entertainment company located in the heart of the city. We provide customers with an affordable, professional and talented DJ service that's simple, flexible and fun for everyone. Services range from $175 to $300 per hour. Business hours are Monday - Friday, 8 a.m. - 6 p.m.
"To provide you with an affordable, professional, hip, and talented DJ service that's simple, flexible and fun for everyone." 1. Free initial phone consultation. 2. Free event planning (upon receipt of signed contract and deposit). 3. Free online music database (to create your own playlist). 1. An organized and professional DJ. 2. A quality sound system, mixing board and laptop. 3. Two handheld microphones (one wired, one wireless). Lapel mic available upon request. 4. A high quality, multicolored and sound-activated disco light. 5. Free set up and teardown. 6. All DJs are capable of MCing at no additional charge. 7. All of our DJs have over 18,000 songs on hand, so we can play just about anything. We specialize in 50s, 60s, 70s, 80s, 90s, acoustic, alternative, big band, blues, christian, classic rock, classical, country, cumbia, dance, folk, funk, hip hop, indie, jazz, heavy metal (hair band), motown, oldies, orchestra, pop, punk rock, r&b, reggae, rock, salsa, soul, strings, swing and top 40. We also have a decent collection of old school rap, house and other electronic music. 1. A follow-up email and/or phone call. 2. A final email with links for you to post reviews on various sites (e.g., Yelp, Facebook, WeddingWire and Google Places). Our services range from $175 to $300 per hour.